Wearing clothing treated with the insecticide permethrin may help protect against certain ticks, according to a new study by researchers at the U.S. Centers for Disease Control and Prevention (CDC). While the insecticide doesn’t actually kill ticks, according to the new study’s publisher, the Entomological Society of America, previous research has shown that it slows down the blacklegged tick (aka deer tick), making it harder for the little bloodsuckers to latch on to you. Per the Minnesota Department of Health, one in three adult blacklegged ticks and one in five blacklegged tick nymphs are reportedly affected with the bacteria that causes Lyme disease — so we’ll take as much protection as we can get. Now researchers have found that permethrin, which has been around since the 1970s, has a similar effect on two other tick species: the lone star tick and the American dog tick. Unlike the blacklegged tick, the American dog and lone star ticks haven’t been linked to Lyme disease, but that doesn’t mean they’re harmless. The American dog tick is responsible for spreading the potentially deadly Rocky Mountain spotted fever, while the lone star tick is linked to ehrlichiosis, a bacterial infection that causes flu-like symptoms. As is the case with Lyme disease, these tick-borne illnesses are also on the rise. For the latest study, ticks in varying life stages — both “juvenile” and adult — were placed on permethrin-treated shirts, pants and socks, for one to five minutes. All the ticks experienced a so-called “hot foot” effect, said senior study author Lars Eisen, Ph.D., a research entomologist with the CDC. “This caused the ticks to drop off from a vertically oriented treated textile designed to mimic a pant leg or the arm of a shirt,” he explained. The permethrin-treated clothing was most effective at slowing down the blacklegged nymphs. These “immature” ticks are smaller than full-grown adults and easily go undetected, which is why they’re the ones most likely to infect you with Lyme disease. After just a minute of exposure to the insecticide, 100 percent of the blacklegged nymphs remained hobbled — and less likely to bite — an hour later. While that sounds promising, some experts at Consumer Reports need more convincing. “The CDC’s study did not test any items while they were being worn, so it doesn’t show conclusively how well the clothes might keep ticks from biting you,” notes James Dickerson, chief scientific officer for Consumer Reports. 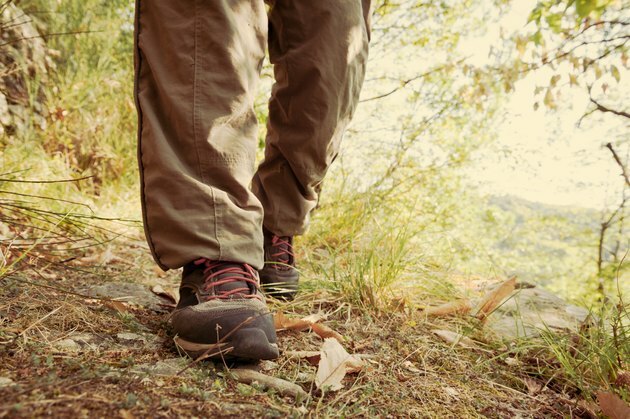 Although more research may still be needed to confirm the tick-fighting benefits of permethrin-treated clothing, it’s probably a good idea to add it to your arsenal in the meantime — especially with the increase in diseases caused by ticks and other insects. You could shop for pretreated gear from brands like L.L. Bean and ExOfficio, or you can spray your own clothes with a product containing 0.5 percent permethrin — one application is good for six washings. You’ll still want to opt for long sleeves and pants tucked into your socks. It may look a little silly (OK, a lot silly), but it will help keep you safe. Have you tried permethrin-treated clothing? Are you worried about ticks in your area? Is there anything you plan to do — or avoid doing — to steer clear of ticks? Let us know in the comments below!